Thanksgiving? Christmas? Remember those days? As I write this, it is the week before Thanksgiving and I just drove through a neighborhood where almost half of the houses already have their Christmas decorations up. Of course, the stores have been advertising Christmas for weeks and there are so many ads for not just “Black Friday,” but also “Black week” – a time for Christmas shopping and special prices. I wonder how many of us really remember (or even know) the reasons behind our holidays. Thanksgiving Day was decreed as a national holiday in 1941 by the U.S. Congress as a day of “prayer and thanksgiving to God.” It is supposed to be a day when we the people of the nation along with our fellow citizens give thanks to God for the blessings in our lives, communities, and nation. However, Thanksgiving is now mostly about family gatherings, family travel, Thanksgiving Dinner, football, and preparing for the big sales the next day. I wonder how many of us really remember (or even know) that Christmas is a national holiday set aside to remember the birth of Jesus, the Messiah. Christmas is a time in which we remember that God entered into our world fulfilling hundreds of prophecies from the Hebrew Scriptures (Old Testament) living, dying, and rising from the dead for the salvation of human beings. However, Christmas is mostly about decorations, gifts, family-time, Santa, reindeer, and special music. Remember the holidays? I hope you will this year. Christmas can be a deeply spiritual and meaningful time as one recalls the birth of Jesus, prays for spiritual renewal, and celebrates the transformation He brings to one’s life and community. Take time to remember the real holidays this year! Go to church somewhere on Christmas Eve. Give of yourself to help someone. Spend some extra time in prayer. It will make all the difference in your holiday! By word and deed, those cry out for what we take for granted. Amen. Giving Thanks to the Lord! Giving Thanks to the Lord. LISTEN HERE! November has been a busy and fruitful month of ministry and I give thanks! 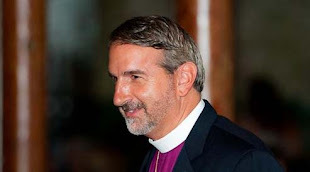 After an uplifting and Spirit-filled Annual Synod, I traveled to Apostles, Knoxville and ordained Doug Floyd to the priesthood and confirmed and received numerous new members into the Anglican Church. But first I stopped and visited our Diocesan Middle School retreat going on at Camp Glisson in Dalonega, Ga. While in Knoxville, I visited with the folks at Old North Abby and their priest, Patrick King. I returned to Georgia and spent several days at the Monastery of the Holy Spirit in Conyers, GA on a Prayer and Planning Retreat. The next two Sundays I preached a two-part series at Holy Cross entitled: Giving Thanks. Listen Here. This past week I visited All Saints' Church in Hot Springs Village, Arkansas ordaining Lynda Valdez to the deaconate and confirming and receiving numerous new members. All Saints is also starting construction on a new building, ans so with their fine priest, Rick Moore, I asked God to bless the land and the construction. 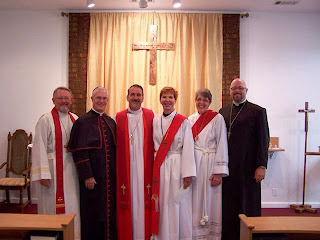 Rick Moore, a visiting priest, me, Deacons Lynda and Sami Jo, and Michael Pahls. 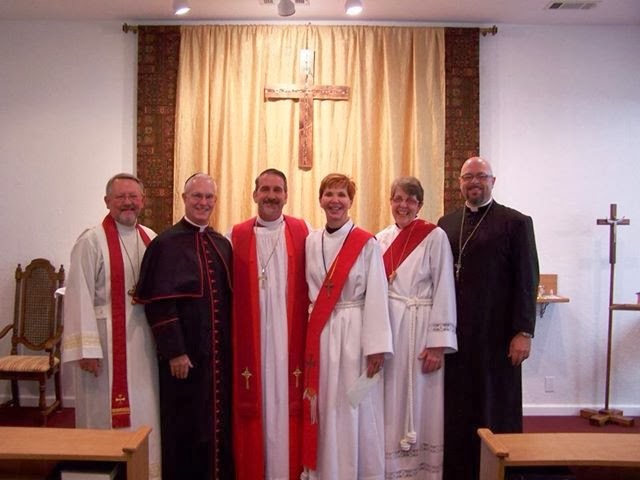 Upon returning to Atlanta I met with the Board of the Young Anglicans Project (CHECK IT OUT HERE) and then went to an AMiA Ordination Service for a new priest and four new deacons. Thanks be to God who has saved us, not of our own doing, but because of His marvelous grace and love. 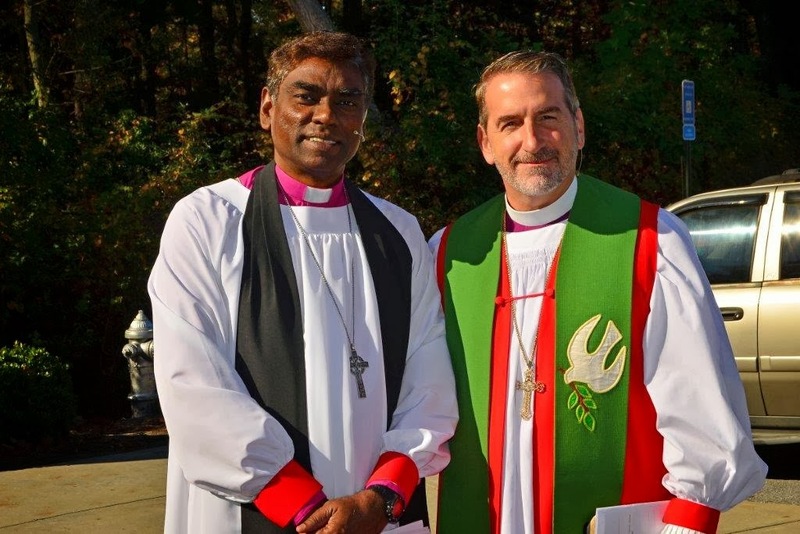 It has been a privilege to have fellowship this week with two special bishops. Bishop Raphael Samuel, the newly elected bishop of Bolivia, was in Loganville for our Anglican Diocese of the South Synod and then he preached at Holy Cross, Loganville, on Sunday. A great preaching of the Word of God. Today, I was visited by Bishop Laurent Mbonda, the bishop of the Shyira Diocese in Rwanda, and his wife, Schantal. After a wonderful time of fellowship, they joined us for our Wednesday night 242 Dinner, worship, and Bible Study. A sweet time in the Lord!! When I visited Kenya last year, I visited the David Sheldrick Wildlife Trust Elephant Orphanage. I donated as a gift for my wife funds to be an adopted parent of a baby orphaned elephant. This year we were actually able to visit her baby and see the incredible work these people do. Poachers and others kill the mothers and the babies are left on their own, and without help would die within days and weeks. Visit http://www.sheldrickwildlifetrust.org/ to find out more about this amazing work. Dirt-Devil -- Mini Tornado -- they were all over the place! On our recent trip to Kenya for GAFCON2, several of us were able to go on a safari in southern Kenya near the Tanzania border. Uh-oh... the rough roads caused the bumper to fall off. Fortunately, no problem! Local Maasai mother selling goods to the "tourists"